The Millennium DXL will be available for rent in early 2017, exclusively through Panavision. The category of large-sensor professional digital cinema cameras just got larger and a lot more interesting with the introduction of the Panavision Millennium DXL Digital Cinema Camera. 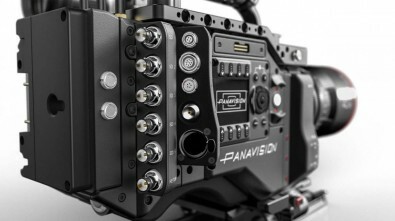 This unique camera is a result of extensive testing and collaboration between teams from Panavision, Red Digital Cinema and Light Iron, a Panavision company that provides digital workflow solutions. Combining Panavision’s optics and camera expertise, the new RED Dragon 35.5 mm CMOS sensor and Light Iron color science software, the camera captures images at up to 8K in resolution and offers a host of DP-friendly features. The developers are calling it a “platform” that will introduce new software features and capabilities on a recurring basis. Weighing about 10 pounds, the Millennium DXL will be available for rent in early 2017, exclusively through Panavision. Working prototypes and a demo reel were shown at the recent Cine Gear Expo in California. Kim Snyder, president and CEO of Panavision, said the Millennium DXL addresses an increased demand for large-format image acquisition. Cinematographers now can capture more than 20-megapixels of true 4K anamorphic pictures via the camera’s full frame 35-megapixel imager. The new camera also leverages a proprietary image mapping process called Light Iron Color signal processing that provides what the companies said is a “unique, cinematic look directly out of the camera.” Light Iron Color integrates seamlessly with the DXL’s new 8K imager and Panavision’s own large format lenses. The camera body was designed with ergonomics and temperature management in mind: its mid-size form factor is extra lightweight, yet allows for an airflow system that dissipates heat more quietly than other cameras. The camera features six 3 GBps outputs for true 4K and 8K recording. Michael Cioni, DXL Product Director and President of Light Iron, said the camera’s streamlined workflow includes simultaneous recording of 4K proxy files, using Avid ProRes or DNx compression alongside the output of 8K RAW files. This was done to create a direct-to-edit workflow using any edit system, he said. With such a crowded field of filmmaking cameras to choose from, even at the high end, it remains to be seen if Panavision can make the new 8K camera a success — where it could not with its Genesis camera (a combination of a Sony camera with other “Panavised” features) in 2005. The competition is fierce, with the Arri Alexa 65 being used on such films as “The Revenant” and “Captain America: Civil War,” while the 8K Red Weapon camera was used to shoot “Guardians of the Galaxy Vol. 2.” There’s also Sony’s F65/55 camera to add to the mix. Of note: Snell Advanced Media (SAM)’s Quantel Rio editing and finishing system fully supports the Light Iron Color software embedded in the Panavision Millennium DXL camera. 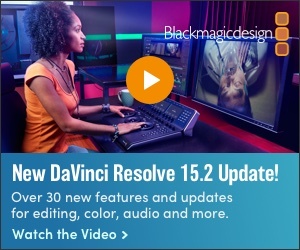 The capability can be found in the Quantel Rio’s latest (Version 4) software release. The Quantel Rio system’s “Light Iron Color” menu provides controls that allow colorists to access and manipulate the proprietary image mapping within the files generated with the DXL camera to produce their optimum cinematic look. The Quantel Rio natively handles all file types from the DXL camera.